All bonsai amateurs can take part to the Enthusiasts’ Exhibition. Everyone of them can exhibit just one tree and be present as an individual participant or as a member of a club or an association. Bonsai from Miura nursery (to the best bonsai voted by the visitors). Send a photo of your bonsai and specify its botanical name, height, width, trunk diameter, age (estimated) – together with name, surname, full address, phone no. and e-mail of the owner – to Crespi Bonsai – Enthusiasts’ Exhibition 2019 – postal address: Corso Sempione 35, 20015 Parabiago (Mi) – Italy, – electronic address: crespicup@crespibonsai.it – within 30th June 2019 (the postmark will be considered). To facilitate the process of sending data it is possible register to the page “Registration on-line” or, as an alternative, to use the registration form that you can find on the page “Registration form“, to be printed and sent by post or e-mail. – A pre-selecting jury, whose judgement is unquestionable, will select the best 100 trees among the received photos. 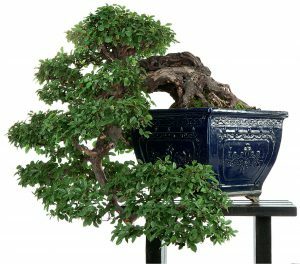 – A written notice will be sent to the owners of the bonsai selected for the exhibition. – The owners of the selected bonsai have to entrust their bonsai to the exhibition place (Crespi Bonsai, Corso Sempione 35, 20015 Parabiago, Milan, Italy), from 7th to 12th September 2019, during the working hours (from 9.00 to 12.30 and from 2.30 to 7.00; Sunday: from 9.30 to 12.30; Monday: from 2.30 to 7.00). 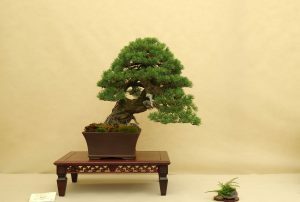 – The bonsai will be displayed without any owner’s reference and just marked with a number from 13th to 15th of September 2019. – A jury consisting of international experts will select the most beautiful bonsai trees, whose owners receive the following prizes: a bonsai coming from the Urabe nursery for the first, a tokoname pot for the second and the Masakuni tool for the third; Yokohama Cup for the best conifer bonsai; Masakuni Cup for the best deciduous bonsai. – The visitors can express their own preference filling in a form, which will be inserted in a special post-box. – The owner of the voted bonsai will receive a bonsai coming from the Miura nursery. Among the bonsai exhibitors the winner of a bonsai will be drawn. – The participation in the exhibition is absolutely free of charge. First classified at the edition 2017 of the exhibition-competition Enthusiast’ Exhibitions, Gianluca Sartor with a Pinus sylvestris.